Trevor Lawrence in The XFL? Mark this down in the category of it may never happen, but.... In theory the XFL could make an offer to Clemson National Championship Quarterback Trevor Lawrence. A day after Clemson’s trashing of Alabama in the national title game. Quarterback Trevor Lawrence is being heralded as the best true freshman quarterback ever and a sure fire #1 pick in the NFL draft. However NFL rules prohibit Lawrence from being drafted in 2019 or 2020. So Lawrence will have to play two more years in Clemson before being eligible to become a pro in The NFL in 2021. There are no such rules prohibiting any college players from going to The XFL. The XFL if they wanted to, could make Trevor Lawrence an offer to become pro now. Play in their league for two years before going to The NFL. Be paid close to a million dollars a season for two years or maybe the league makes a larger investment to get Lawrence to sign on. The signing itself would make national headlines and be one of the biggest stories in sports. Lawrence would jeopardize his NFL money by going to The XFL. He stands to make tens of millions of dollars as a rookie but if he chose to go to The XFL. He would instantly become the face of the league and it’s most marketable star. Lawrence if he was crazy enough to do it, would have to take out a giant insurance policy, in case he got a serious injury in The XFL. Like I stated, it’s most likely not going to happen but it’s an interesting fantasy scenario. * Update- Shortly after posting this. Several people online were thinking along the same lines. 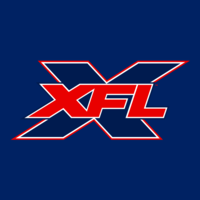 The XFL even chimed in on their Twitter account and ProFootballTalk ran with the story as well. Despite it being open knowledge that Oliver Luck mentioned not following the NFL’s CBA guidelines when it comes to college players.